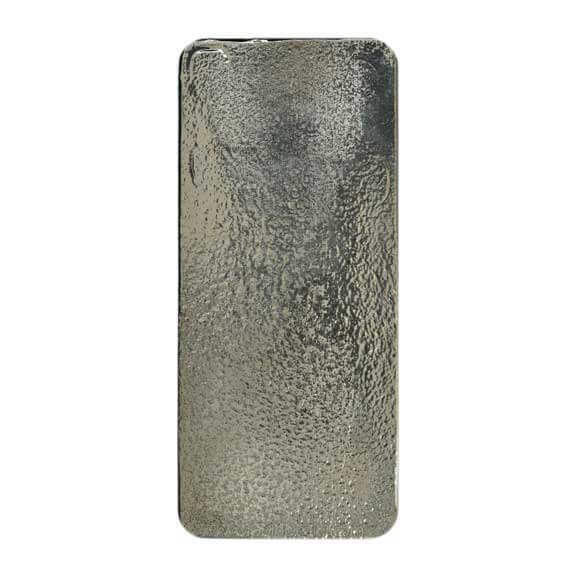 The RMC 100 oz silver bar is a popular silver bullion choice today because of its quality and acceptability into Individual Retirement Accounts. 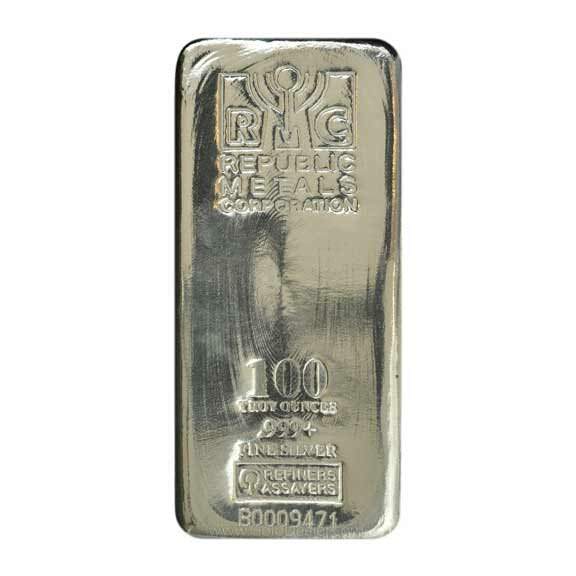 Produced by the Republic Metals Corporation the RMC 100 oz silver bar is a respected standard and traded worldwide. 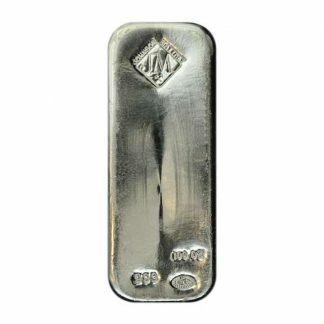 The RMC 100 oz silver bar is poured, finely finished including rounded edges and contains the following hallmarks: (1) the famous Republic Metals Corporation trademark at the top of the bar. (2) The name of the maker – Republic Metals Corporation. 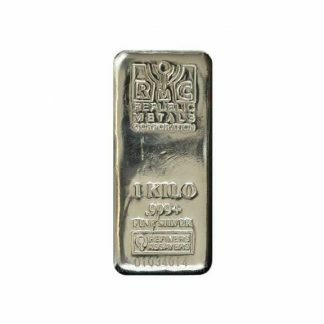 (3) The exact weight of the RCM 100 oz bar is clearly marked (100 Troy Ounces) and beneath the weight mark is its purity stamp (.999+). (4) The words Fine Silver are included along with a distinctive manufacturing hallmark. (5) Each RMC 100 oz silver bar also contains a unique 8 character serial number etched into the bar – which provides a strong security upgrade. The RMC 100 oz silver bar is popular for a number of other reasons: (1) its weight (6.8 pounds) is easily handled and it can be safely stored in bank deposit boxes. (2) The 100 ounce size makes consumer valuation and liquidity simple because large dealers worldwide post daily buy and sell prices. 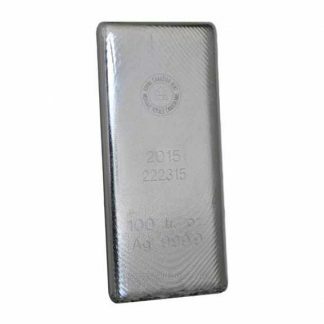 (3) The RMC 100 oz silver bar is produced by the well known Republic Metals Corporation, a big advantage because it guarantees the highest and most exacting quality standards. Silver is also an industrial metal because it has many uses in technology, medical science and the environment. As the world industry grows the need for silver increases and may push prices higher. 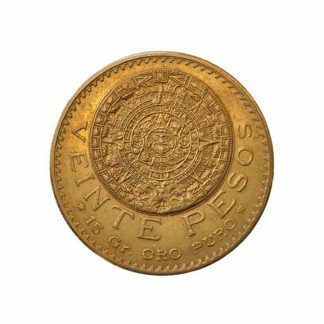 Its investment value has also brought increasing attention since the use of silver in most US coinage was discontinued in 1964. Today many people see silver as real money and a store of value as fiat currency loses value. There are no reporting requirements when the consumer purchases the RMC 100 oz Silver Bar. Your sale of 10 or more bars is dealer reportable on I.R.S. Form 1099B. Sales of less than 10 bars at any one time are not reportable by your dealer. Thanks for helping me with my silver questions and purchases.